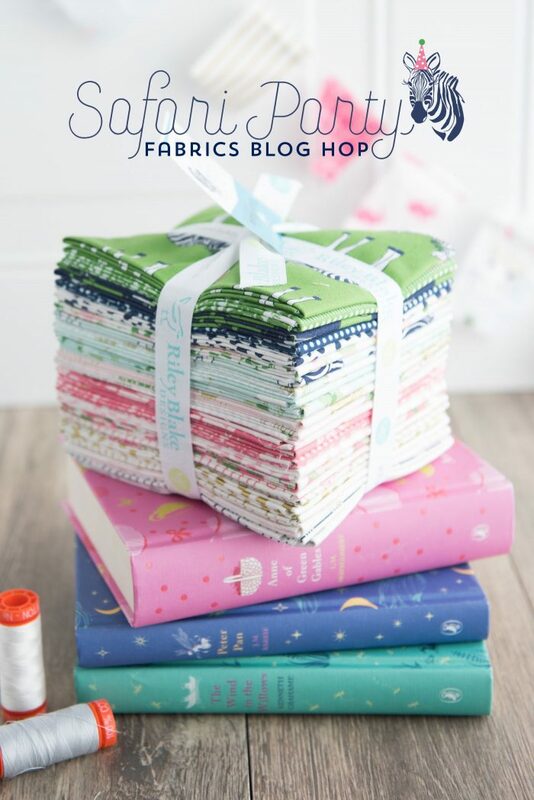 Today kicks off the #SafariPartyFabrics Blog Hop! 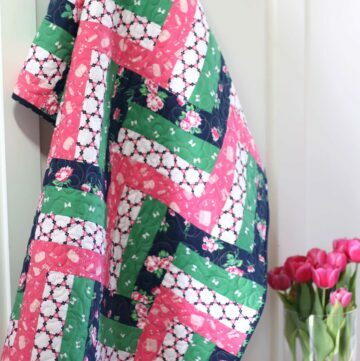 I’ve lined up some fabulous designers who are all going to share fun sewing and quilting tutorials with you guys! 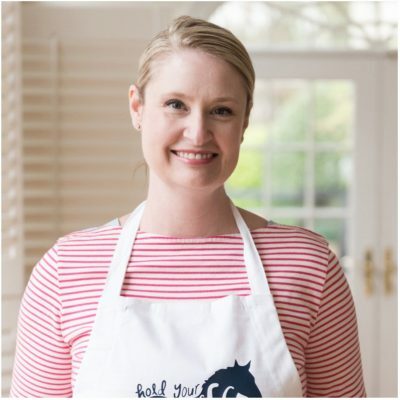 First up we have Amy Smart from Diary of a Quilter. 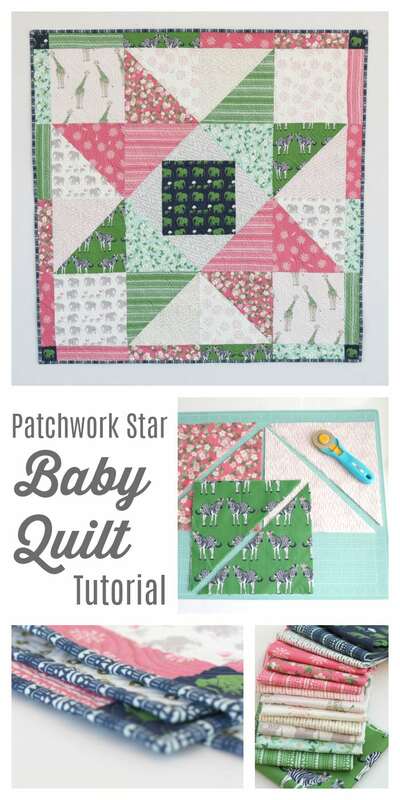 She’s created a Patchwork Star Baby Quilt Tutorial. 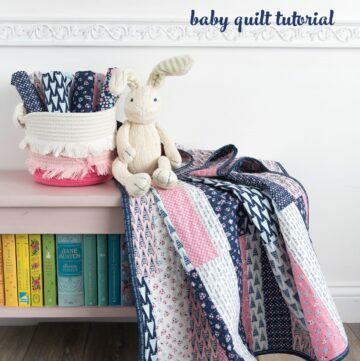 Keep reading to find out how to make this fun baby quilt. Guys, I’m seriously so excited. 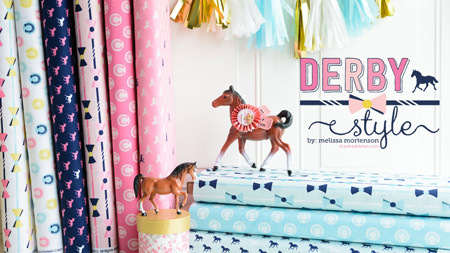 My 6-week Safari Party Fabrics Blog Hop kicks off this week. 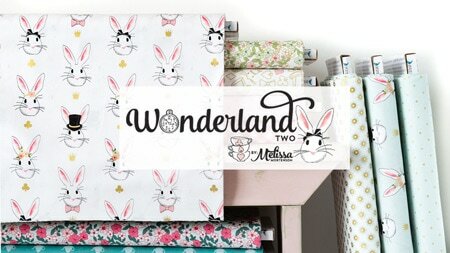 When I design fabric, I imagine what I’d create with all of the prints in the line. Half the stuff doesn’t get made, but it’s still fun to dream *wink*. What I love the most is when the fabric gets into YOUR hands and I get to see what you make from it. You guys always have WAAAY better ideas than I do and I’m always blown away by your creations. 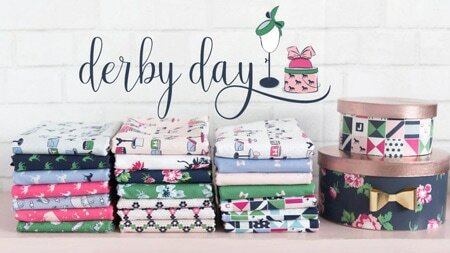 (If you do make something be sure to tag me on social media @polkadotchair or use the #rileyblakedesigns / #safaripartyfabrics hashtags so I can see your creations! You can also upload images to my Facebook page). I’ve known Amy for almost as long as I’ve been blogging (which is a LONG time). We met at a blogger meet up years ago. Get this, there were only about 30 of us there, and I think it was a bit of work to find 30 of us to meet up! Oh, how times have changed! Amy became a fast friend, and I’ve been lucky to run into her at events frequently. 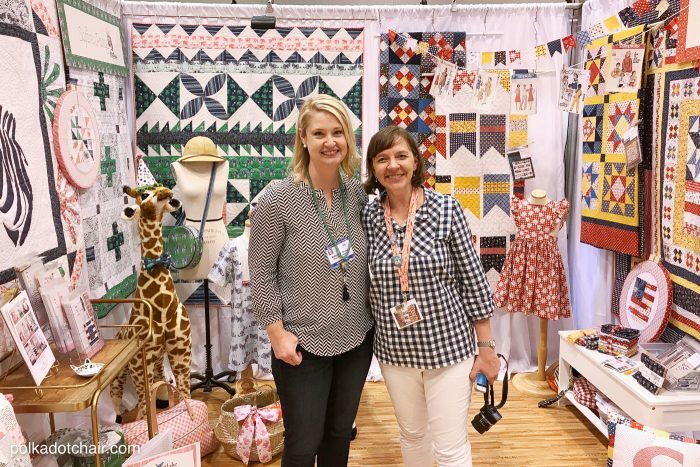 Last Spring shared a booth at Quilt Market together. 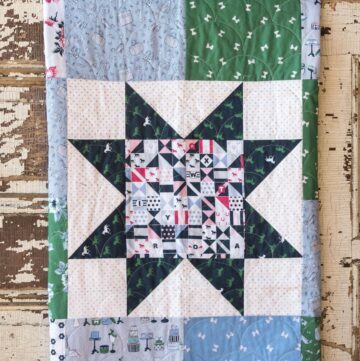 Today Amy is sharing with you guys a free tutorial for this Patchwork Stars Baby Quilt. 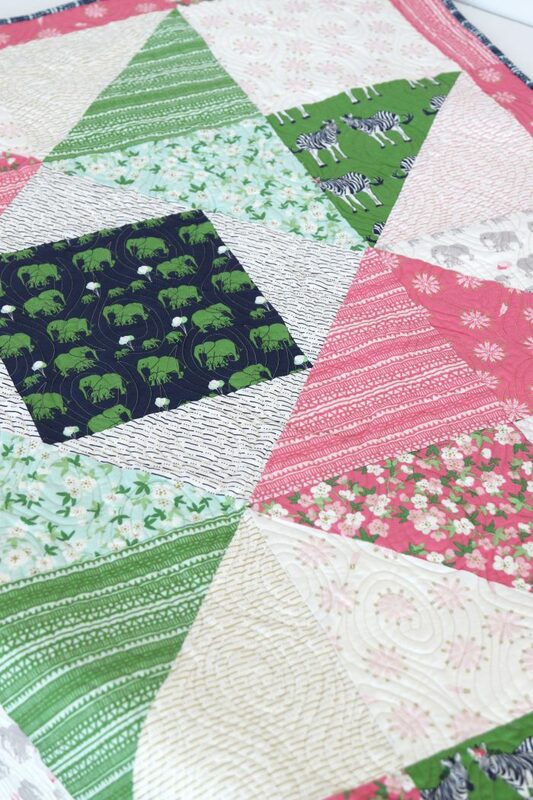 It’s the perfect quilt to show off the bright bold colors of the Safari Line. 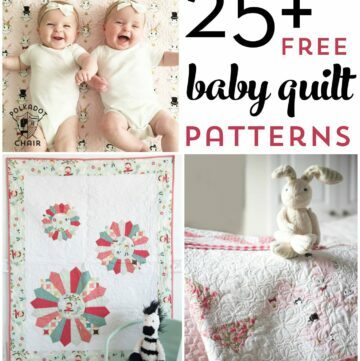 It’s also a GREAT project if you’re somewhat new to quilting and want a fast and fun project. I love how Amy used all of the colors in the line together. 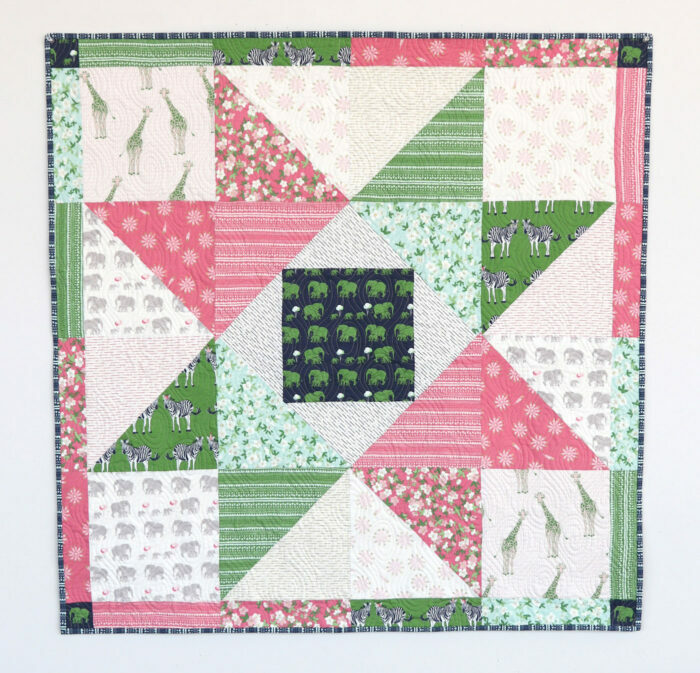 She balanced out the bright greens and pinks with the simpler low volume prints from the line and grounded it all with a navy blue binding. 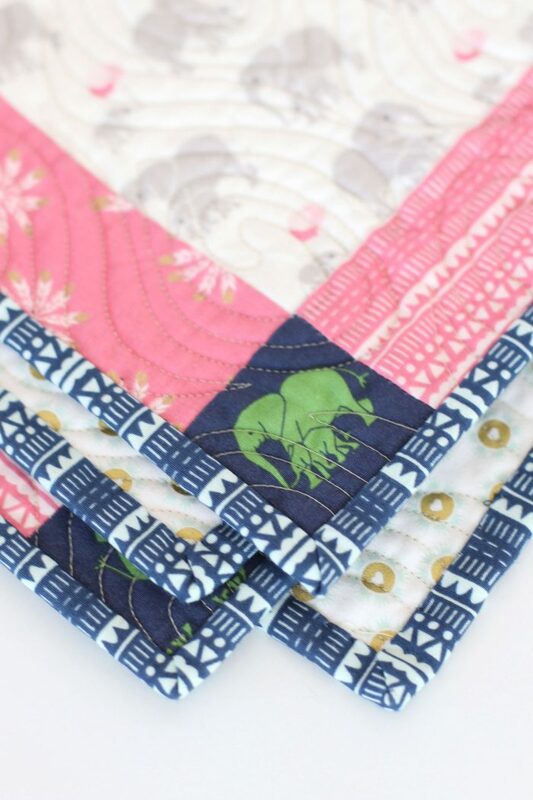 I love how she fussy cut the elephant for the corner! 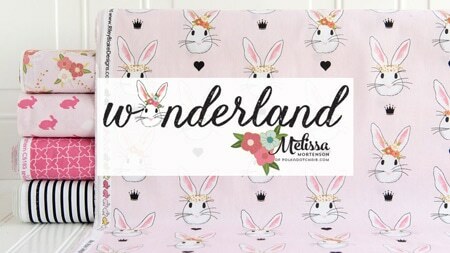 Hop on over to Amy’s blog to get the tutorial! Just CLICK HERE!